Hana has a Bachelor’s Degree in APSS and Psychology from Concordia University. 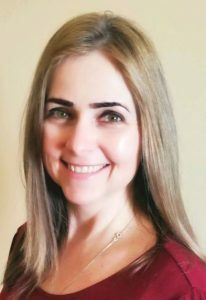 She also has a diploma in Energetic Anatomy from the Institute of Energetic Healing and has various additional certifications in psycho-spiritual counseling, conflict resolution, transformational imagery, cognitive behavioral therapy, inner child, mindfulness, sound therapy and other complementary modalities. Hana has created and leads various empowerment workshops for children of all ages at her center and in elementary school settings. She works in private practice, offering holistic empowerment coaching for children, teens, and adults while working intuitively and creatively using a mind-body-spirit approach. She has worked with children and teens in Youth Protection and Family Services for over 14 years. Hana has extensive training and 25 years of experience in working with issues such as low self-esteem, anxiety, stress, fears, anger, bullying, social skills, depression, and life transitions. She is very passionate about empowering others to help themselves reach their potential while going on a journey of self-discovery. 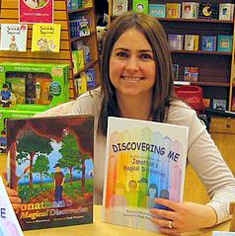 Hana is the author of the children’s book for all ages, Jonathan’s Magical Discoveries, and its companion workbook/activity book Discovering Me. She also offers an empowerment program for children, called Discovering Me, which is based on her books. She has also worked and consulted for Chouette Publishing, the creator of the popular Caillou character..
Hana has been writing imaginative, empowering and transformational stories for many years. In a magical and unique way, she loves to write about real life issues facing children and create innovative workshops, hoping to inspire others to see how powerful they truly are. Hana is also working on her own new collection of empowering books based on different themes. She has also created some empowerment products to reinforce the therapeutic ideas of her book and workbook. Hana works with a team of psychologists, coaches and youth animators at the Sunflower Health Centre, which she co-directs. Hana is a member of ANQ: L’Association des Naturothérapeutes du Qébec.